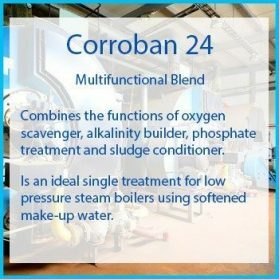 View basket “Corroban 24 Multifunctional Blend” has been added to your basket. 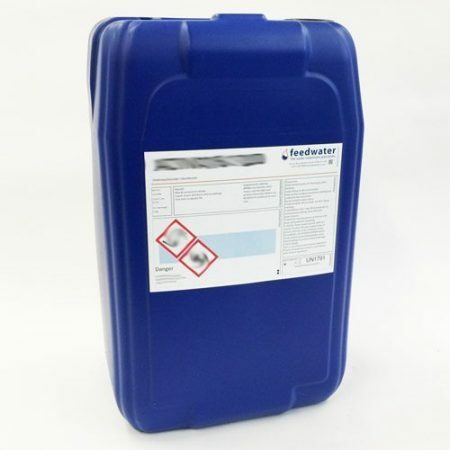 CORROBAN 30 is a strong alkaline treatment used in the control of feedwater pH, neutralising any acid present and contributing to alkalinity levels. 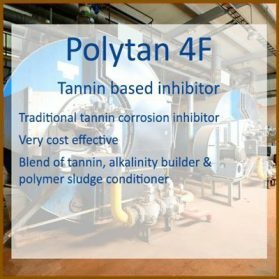 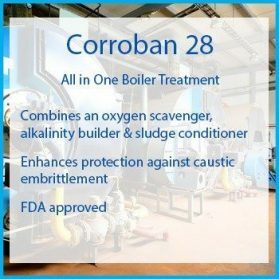 Coroban 30 is a high performance boiler treatment chemical developed for pH control in steam boilers plus additional polymers for sludge conditioning and scale prevention. 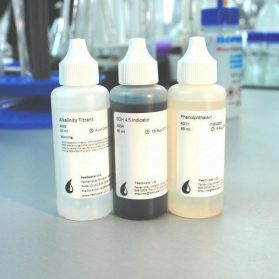 This Product is formulated using a strong alkaline treatment that can be used in the control of feedwater pH, neutralising any acid present and contributing to alkalinity levels. 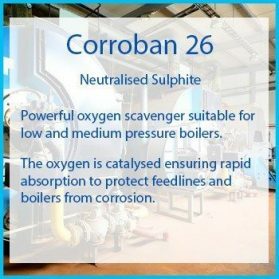 Additionally, Corroban 30 contains sludge conditioning and scale preventing polymers specially selected for their suitability for high temperature applications. 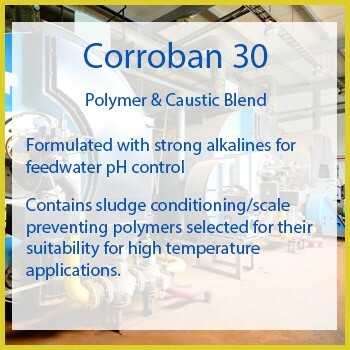 Corroban 30 is dosed via the feed tank, the rate of addition being adjusted to maintain the correct pH and alkalinity. 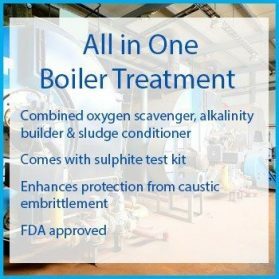 For further technical assistance please contact Feedwater.